The brand new featurette for Marvel’s Doctor Strange has arrived. 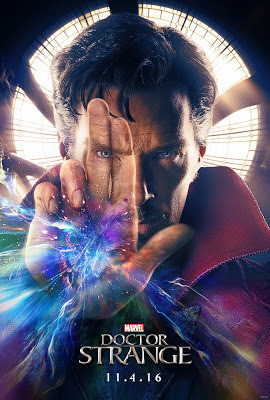 “Doctor Strange,” starring Benedict Cumberbatch (“Black Mass,” “The Imitation Game”), Chiwetel Ejiofor (“12 Years a Slave,” “The Martian”), Rachel McAdams (“Southpaw,” “Sherlock Holmes”) and Michael Stuhlbarg (“Steve Jobs,” “A Serious Man”) with Mads Mikkelsen (“Clash of the Titans,” “Casino Royale”) and Academy Award® winner Tilda Swinton (“Michael Clayton,” “The Grand Budapest Hotel”). Marvel’s Doctor Strange is in theaters November 4, 2016!